If an arty has a shot on me, I deserve to get hit for being careless. That's actually everything that's need to say about arty. Period. So the whining is pretty pathetic mates. Btw a skilled arty Player don't need to see the target as you run over trees, shoot around and sh**t, they can guess where you are and where you going to. I had my fair share of Hits and Kills that way and im far from being good at arty as i played it mostly wasted. 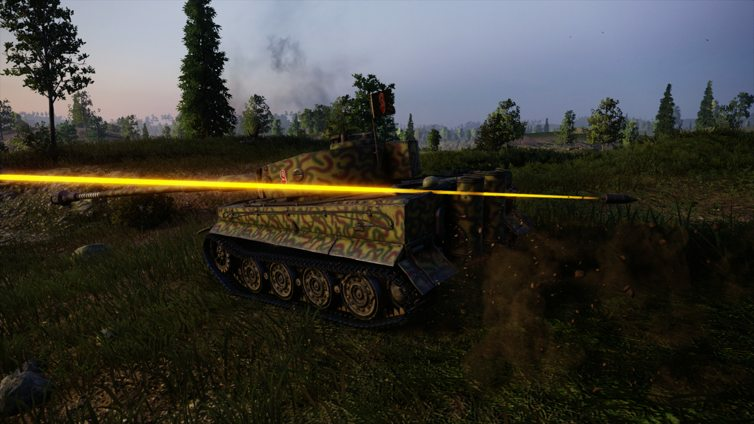 So, if you run over a tree, then you deserved to get hit by arty. Or if you run over any destructible object. Or if you are detected in the open. Or if you are behind cover that is too small. Or if you poke out of cover to take a shot. Or if you are moving too slow. Or fast but “too predictably.” Let’s see; that leaves hiding behind large buildings the whole match. WG has made it plain that it allows arty to play by different rules to keep those players playing. My guess is that a lot of older players with disposable income would leave without arty easy mode. If that was the case there would be more than 4 premium Arty. Just never give them an opening like sitting still for too long. 9/10 times when arty gets me I literally think about how cocky I was to be sitting where I was when I got hit. 1/10 times I want to text them about what a crazy good shot they had to hit me when I was sitting there, b/c having played enough arty I know it was a crazy good shot. Sorry, just the way it is. You're right; just move around some and you'll be arty safe. Edited by gigagram, 15 September 2018 - 04:22 AM. All i read is: Mimimi i get killed because i play like "whopdif*ckingdoo", dont care about "spotted", don't want to accept that a 1m high rock aint a good hideout for a tank, need 4 Seconds to place a shot and last but not least i did not see the shell coming though it looks like an Asteroid and i already got hit. Sorry mate, but this comment makes yourself look slightly retarted. No offense though. Your posts make me feel like the guy laughing at the pathetic person. I must just be too unimportant for arty players to notice most of the time then. I still see "Mimimi". Arty is here since Beta and after 4 years you still can't afford proper gameplay. Well there's only one to blame for. Just guess who. You actually look Like the girl in the left in the crowd "meh im right everyone else ist wrong"
Wow another arty thread. Imagine that. I guess lights needed a break. I was hitting people under bridges before the new mode. It could happen before to if you paid attention to your arty sights and how oval they are. This new mode makes it much easier. This is how I did it before as well. And have to agree here, this new mode makes it so much easier. In fact, the only time I use this new mode is for terrain like this that was harder to do before - after all, if WG is going to make things easier you might as well use it. Most games don't need the new mode and never use it. But it is great in cities and with bridges, so I vote not to remove it. However, WG is going to have to fix the way it inverts things when switching between modes. Tell that to my tier 10 Japans med full sprint down the track on Himmelsdorf, spotted, boom, 4 hp left, tracked,engine, 3 crew dead. Arty was south spawn in the k3 area. His shot was not straight on, more angled right to left. over the train cars. Sent him a holy cow great shot. Was only spotted for 5-6 seconds with the train cars as cover, only stopping when the late 70's Oldsmobile fell from the sky. It was a U.K. Con. Gun Carriage. P.S. As I have said before I am not an Arty hater this is not a complaint. Just saying that trick shots are possible on fast moving Arty safe areas.